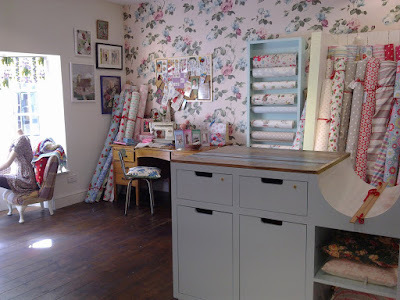 I’m a girl with a love of anything girly, my initial discovery of Cath Kidston several years ago lead to a full blown love affair with anything floral and remotely oil cloth like. I admired the versatility of the brand, from satchels to crockery, I was quite simply enchanted. The rise and popularity of Cath Kidston can only be something I admire greatly. The cult like fan base of young girls, yummy mummies and generations alike, means I am not alone in saying I love Cath Kidston. The one thing that has deterred me greatly from my obsession has been cost. It goes without saying you are paying a little bit extra for that something special. With replicas filtering into the high street thick and fast, gone are the days of Cath Kidston being completely unique. However it only takes a visit to one of the stores, to really witness the pure genius of the brand itself. It was when in Brighton I fell head over heels once more. I had saved up a little spending money especially for the occasion, allowing myself to search high and low for my desired purchase. The interior of the shop is pretty much nostalgia down to a T. I love the hidden alcoves and the clean and pristine white tables make for a great setting. My favourite section in the Brighton shop is the upstairs. All tucked away, a work room. One I could I actually imagine living in. One I could picture Cath herself working in. The desk area is stocked full of quirks, the care and attention to detail really is something I would love to emulate one day. You know Cath Kidston could easily stock a shop full to the brim of pretty homewares, all crammed in and yes we would still want to buy them, but the fact the shop is so much more than a shop, the fact it’s an experience, a source of inspiration, really does show the love and loyalty you get when shopping there. For me Cath Kidston will always remain a well-loved favourite of mine. I still love Cath Kidston even though all the middle ages mums I work with have the satchels. I love the cowboy material and wallpaper for little boys rooms and I can't stop myself from buying their mugs! I just followed your blog an hour ago and I'm completely addicted to it now! You have great taste! 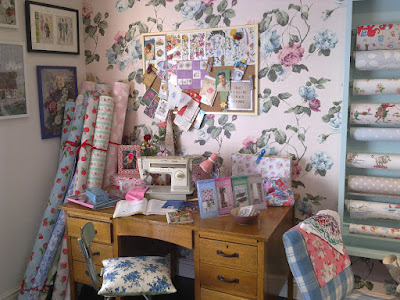 Oh I have so much love for Cath Kidston! It is a cute shop isn't it? I was in the Brighton one with a friend the other day and we had to leave as she said she was getting bitter that she didn't live in it! Thanks for the lovely comment too, Alice. My wonderful Alice, i love that we share a love for so many things! We really must both attend a blogger meet up together! Because of how much i admire you, i've nominated you for a blogger award :) Hop on over to http://legs11eleven.blogspot.com/2011/09/mush-gush.html to see the details! My gosh! Never heard of the place but it looks amazing! !